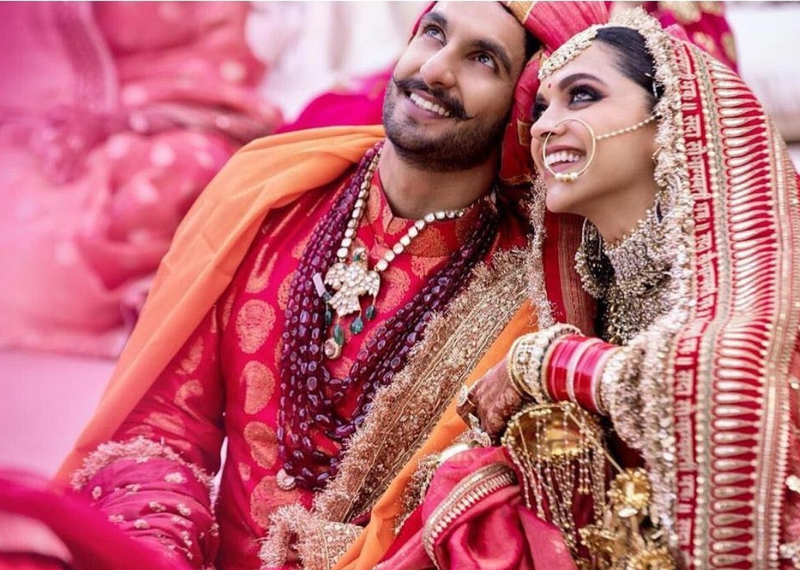 The most awaited wedding of Deepika Padukone and Ranveer Singh took place on 14th and 15th November 2018 and we are still not over the couple’s jaw-dropping pictures. The couple tied the knot in a private affair at Lake Como, Italy. 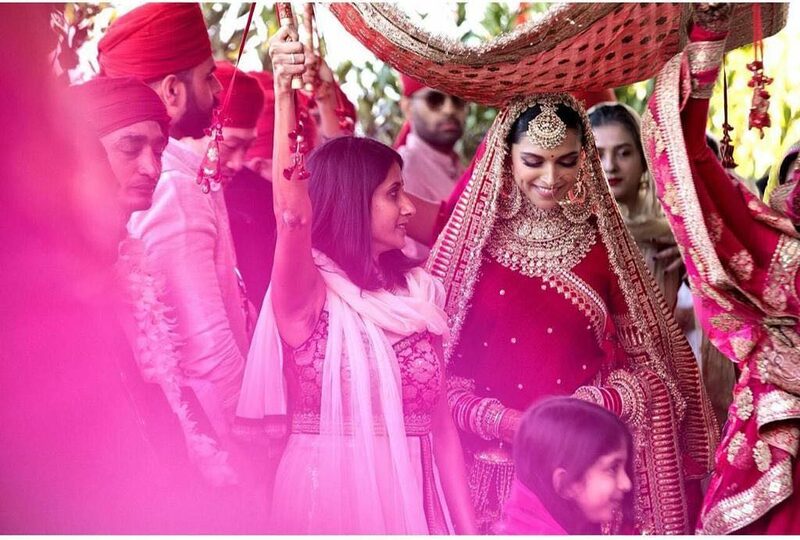 From choosing the most beautiful venue for their wedding to hosting two different weddings altogether, we loved everything about DeepVeer’s wedding! 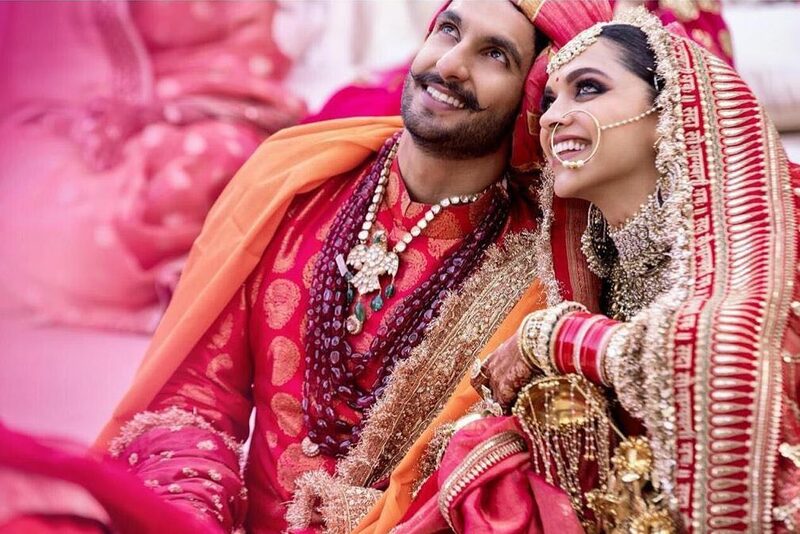 So, here we are decoding DeepVeer’s wedding looks from their wedding celebrations. 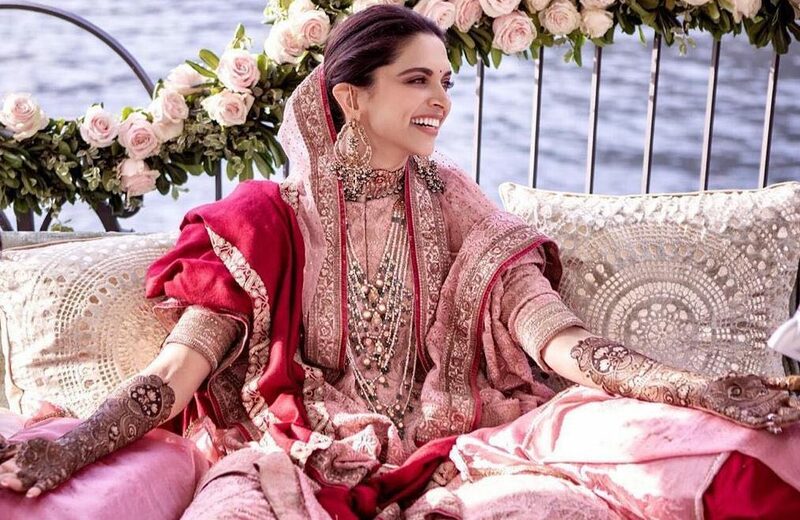 Deepika Padukone began her pre-wedding bash with taking blessings with Nandi Pujan. 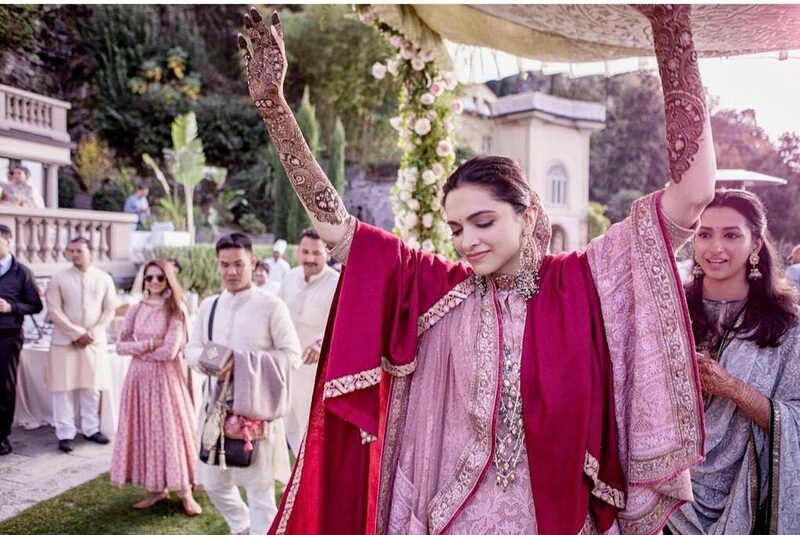 Deepika was spotted wearing Sabyasachi outfit while performing traditional Nandi Pujan. Deepika went for a bespoke bandhgala silk suit in saffron colour with white pants, which she styled elegantly with an embroidered dupatta. She accessorized her overall ensemble with gorgeous statement Sabyasachi jhumkis. 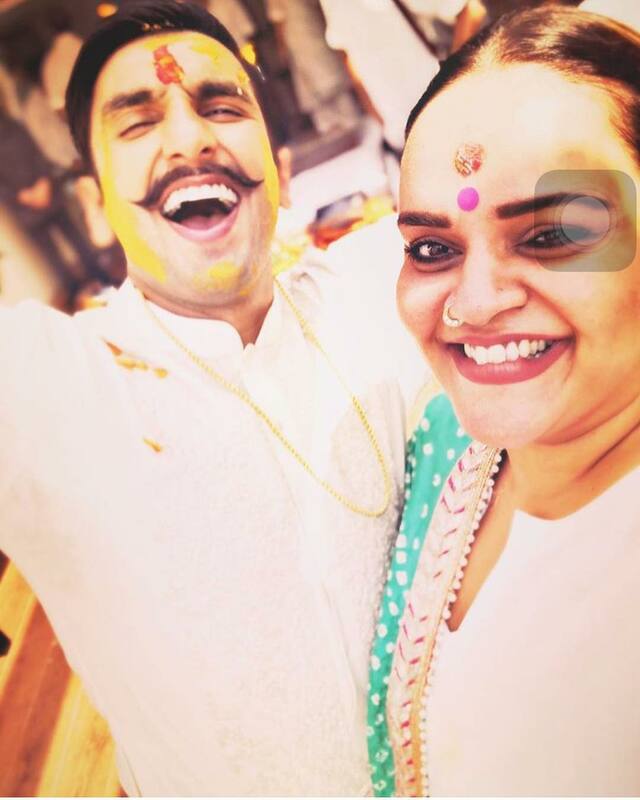 Recently, Shanoo Sharma, Ranveer Singh’s close friend shared unseen pictures from Ranveer’s haldi ceremony in Mumbai. The happy groom-to-be then was all glowing in white Sabyasachi kurta. Isn’t the dashing Ranveer setting some serious #haldioutfitgoals for all the grooms-to-be?! 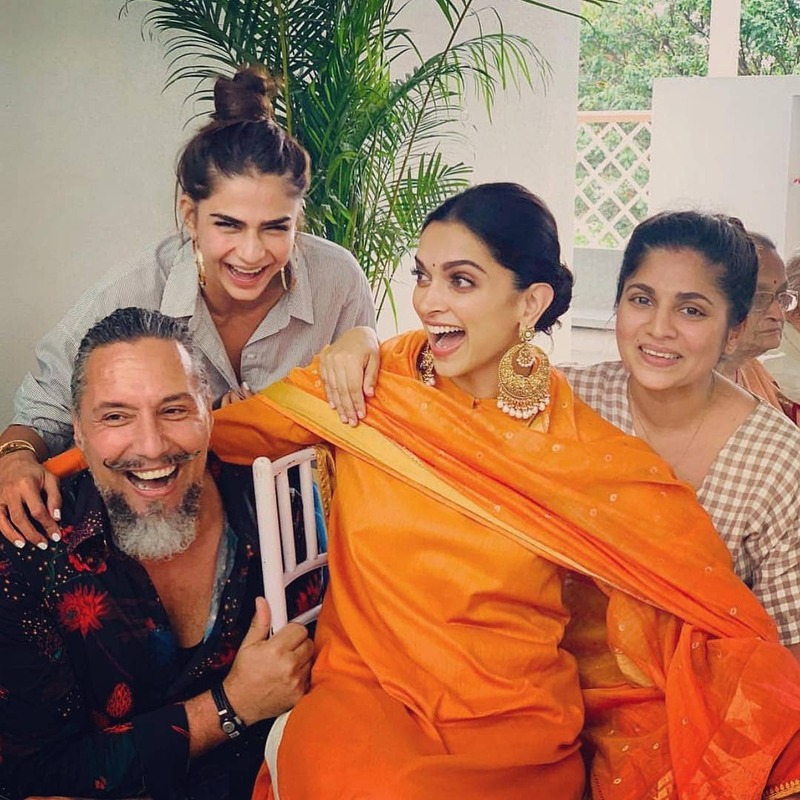 DeepVeer’s mehendi look is one of our favourites! We simply can’t stop swooning over Deepika Padukone’s blush pink embroidered outfit which she carried perfectly with two dupattas. Also, we absolutely loved how she accessorized her overall mehendi look with a layered necklace, choker necklace, and matching earrings. Further, she kept her hairstyle simple and easy to carry by opting for a hair bun. Isn’t Deepika simply stunning as nothing could have been a better option for kicking off mehendi ceremony like theirs! 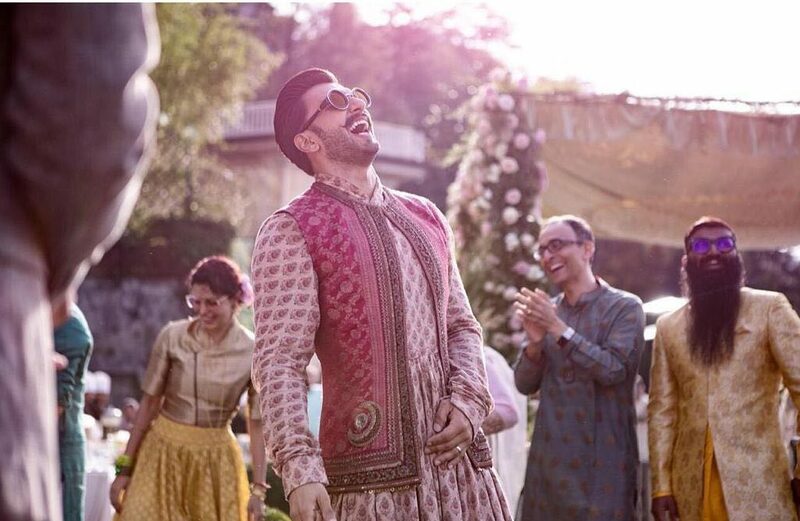 And, we don’t have enough perfect words to describe Ranveer Singh’s mehendi look. Ranveer Singh is truly that one man who can kick off any outfit like a pro setting some serious #fashiongoals for the entire world! 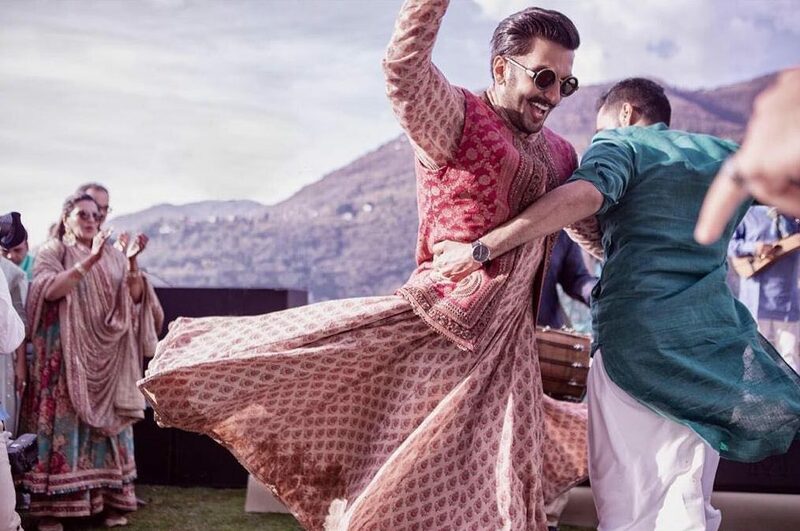 Ranveer Singh opting for a printed angrakha kurta on his mehendi is surely one of the newest wedding trends of the year 2018. He paired it up with an embroidered nehru jacket. And, how can we forget Ranveer’s loving gesture as he got #DeepVeer written on his hand with mehendi! Sabyasachi surely knows how to set #couplegoals as he smartly designed DeepVeer #colourcoordinatedcoupleoutfits. 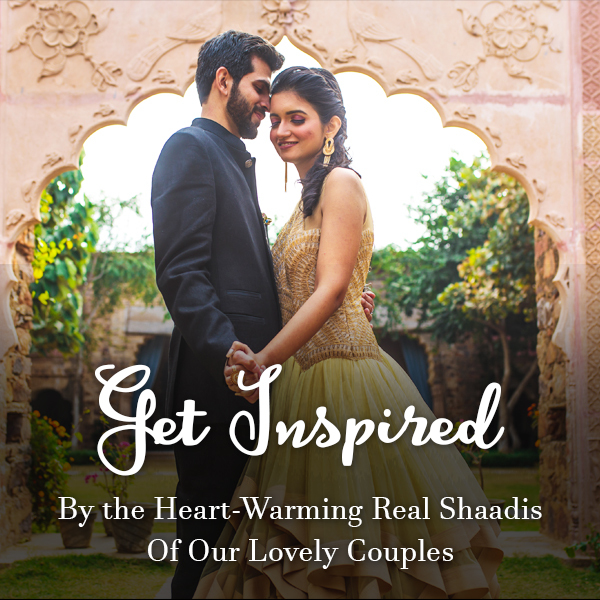 Since the couple decided to get married according to Konkani customs and rituals, Sabyasachi styled their first wedding look as traditional #southIndiancouple. Deepika Padukone wore an orange and gold mix kanjivaram saree which was gifted to her from her mother, Ujjala Padukone. Deepika’s Konkani wedding saree was purchased from Bangalore based store known as Angadi Galleria. 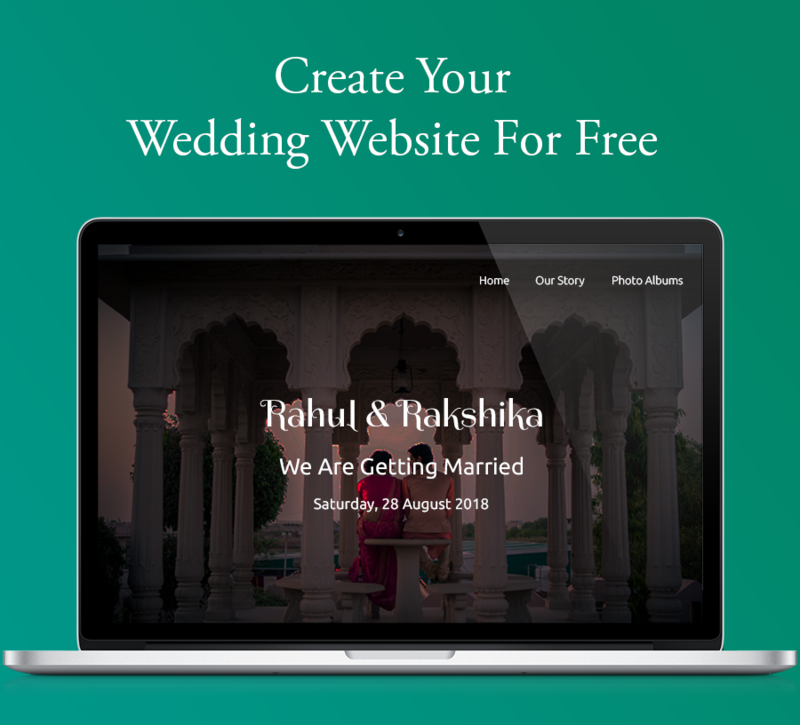 She paired it with gold jadau jewellery which is typically worn by south Indian brides. 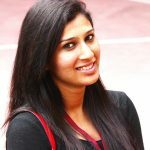 She completed her overall look with a kamarbandh, toe rings, mathapatti and payal. Her hair bun was decorated with a gajra made up of fresh flowers reminding us of her movie “Chennai Express”. She looked stunning as she donned gold bangles in her henna clad hands. Ranveer wore a traditional white and gold South Indian attire to complement Deepika perfectly. Didn’t you guys notice how handsome Deepika’s man looked in traditional south Indian sehra tied as a headband. 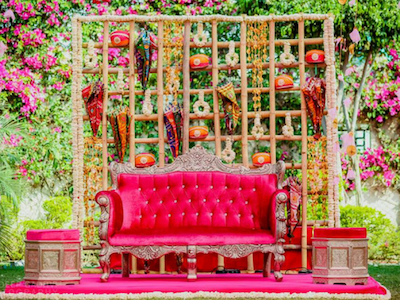 The couple also tied the knot in a traditional Sindhi ceremony known as Anand Karaj on 15th November. Head to toe, dressed in Sabyasachi outfits, DeepVeer, looked so much in love setting #couplegoals! Deepika wore a stunning bright red and gold matka silk lehenga with intricate embroidery and threadwork. What got our special attention was her traditional gotta patti dupatta which had ‘Sada Saubhagyavati Bhava’ written all over its border. 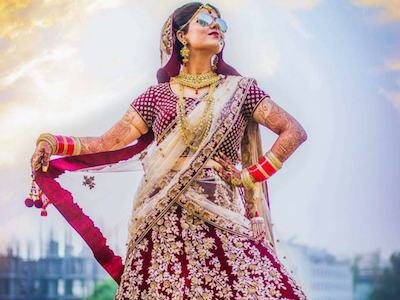 Further, the bride wore kundan jewellery with a statement maang tikka, nath and not to miss her big shiny engagement ring. The chooda and kalire Deepika wore were by Ra Abta by Rahul which are priced at approximately INR 16,500. Talking about the kalira detail, they were handcrafted traditional peepal patti kaleeras completed with fresh-water pearls. Ranveer Singh on the other hand, colour coordinated with Deepika’s wedding look by wearing red brocade sherwani which had golden motifs all over it. He completed his look with a red and gold safa on his head and adorning groom accessories like kundan necklace which was layered with rubies necklace. Not to miss, Ranveer’s stole had zari and embellishments over it making him as royal as he looked in Bajirao Mastaani! Back to India, the newlywed Deepika wore golden kanjivaram saree mix matched with a plain full-sleeve white blouse by Angadi Galleria, which was gifted to her by her mother. Her green choker necklace (mandala medallion) with pearl raanihaar perfectly complemented her overall reception look. And the dashing Ranveer Singh opted for designer black sherwani with matching footwear by Rohit Bal. The couple was as usual styled by their favourite Sabyasachi Mukherjee. 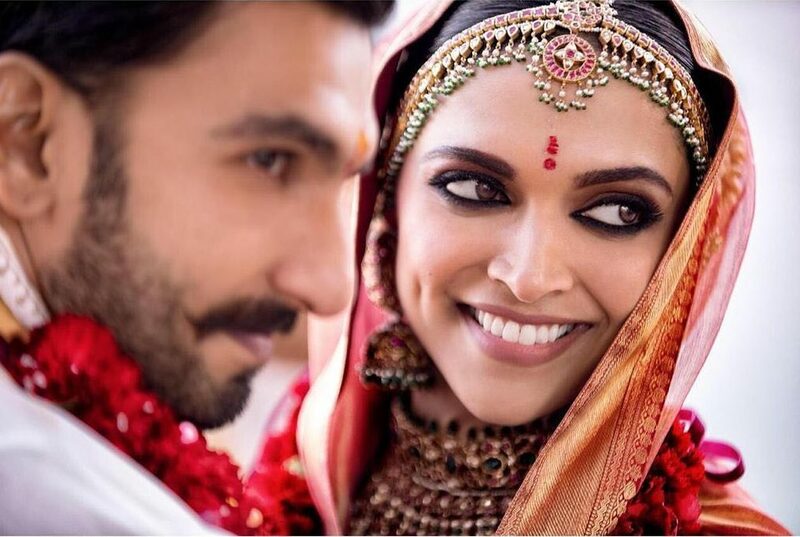 Check out DeepVeer’s reception pictures here. DeepVeer’s post-wedding party hosted by Ranveer Singh’s sister Ritika Bhavnani was one hell of a celebration. Deepika and Ranveer broke all stereotypes with their unique looks for this epic night. Flaunting the Frida Kahlo-inspired look, Deepika looked drop-dead gorgeous in a floral Sabyasachi lehenga, with roses in her hair and perfect smokey eyes. Ranveer Singh, has set the bar for quirk very high with his cool outfit by Manish Arora which was a crazy combination of a black kurta with a pink glow-in-the-dark jacket. And not to forget his kohl-lined eyes! Weren’t DeepVeer’s wedding outfits all traditional with a contemporary twist as styled by Sabyasachi? 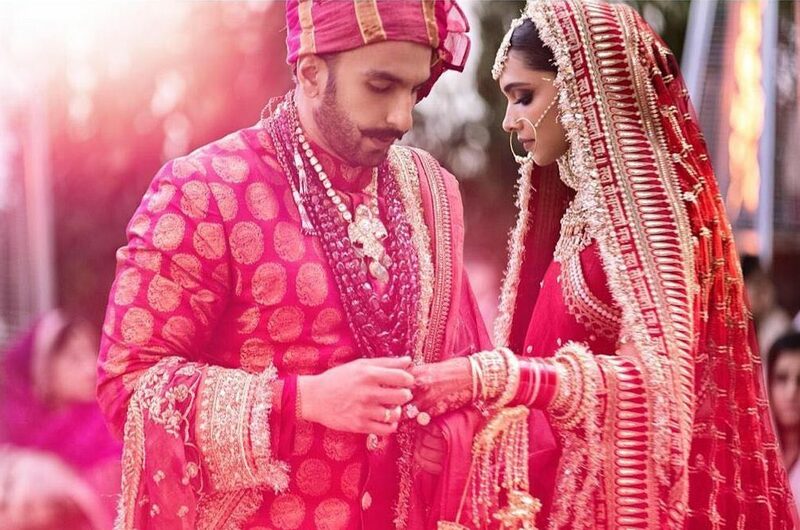 We are head over heels in love with Deepika Padukone and Ranveer Singh wedding looks and we are sure everyone else is too!